A simple platform with a geometric art style. The gameplay is simple, get these various rectangles and squares into their respective outlines. 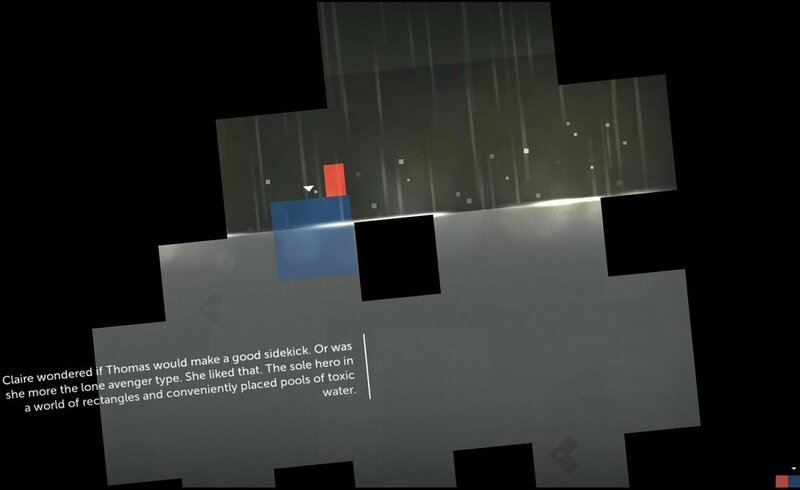 Where the game shines is not just in how it constructs clever puzzles but how it gives it’s little colored blocks so much character and pathos. You start to care for Thomas and his assortment of odd friends, the big super hero Claire, lovable jerk Chris or the rather different James. With just a narrator and gameplay a sweet, sometimes chilling and sometimes inspiring story is told. Media Molecule is known for Little Big Planet but it’s this PS Vita (later PS4) platformer that really stuck with me. I don’t know if there has been a week where I haven’t thought about how damn charming this game was. Not as custom built as LBP it instead adds your doodles into it’s world little by little until by the end it’s obvious how much your interaction has changed this papercraft world. The game also has some of the most inventive platforming I’ve seen in a long time, always giving yous something new to do. 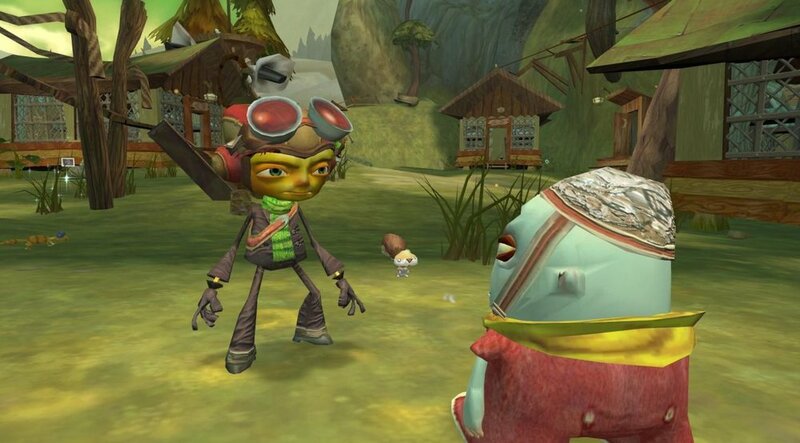 Psychonauts still feels like a bit of a weird thing. It’s a platforming collect-a-thon long after those had fallen out of vogue. It’s character design can be downright off-putting. The humor both childish and blunt. Yet it’s all those things that make Psychonauts work. All of these pieces fit together to make a smart game with memorable characters and levels that I still quote and think about to this day. I think a lot of people are surprised to hear I was a skater kid. Or more that I was a skater adjacent kid. Taking photos and videos of my friends trying to do a kickflip in various parking lots was more fun then it sounded. The Skate games capture the best moments of the skater life and how it can be it’s own kind of fun to scope out a spot, move some stuff around and then just hit it over and over until you get that perfect line. I chose Skate 2 for this because it had my favorite locations of the franchise. It is no secret to anyone I talk to that I have a deep love of wrestling. The problem is that so many wrestling games are very very bad. They play horribly, Have bad AI they’re full of glitches and a in-depth character creator is great for people willing to dedicate days to a single character but can be hard for people just wanting their personal stars in the game. Luckily FPWW fixes most of those problems and the sheer amount of content means you can spend hundreds of hours just watching your little wrestle men (and women) put each other through barb wire boards. I recently replayed Portal 2, convinced on some level that it would have aged badly. That it’s humor would have dulled and it’s smart design would have been lapped. What I found was the game I had played the day it came out. It’s an utterly fantastic piece of puzzle gaming mixed with some of the most memorable characters in gaming. The way the game introduces each element until everything is blending together seamlessly. It’s utterly fantastic and I await playing it again a few years from now. 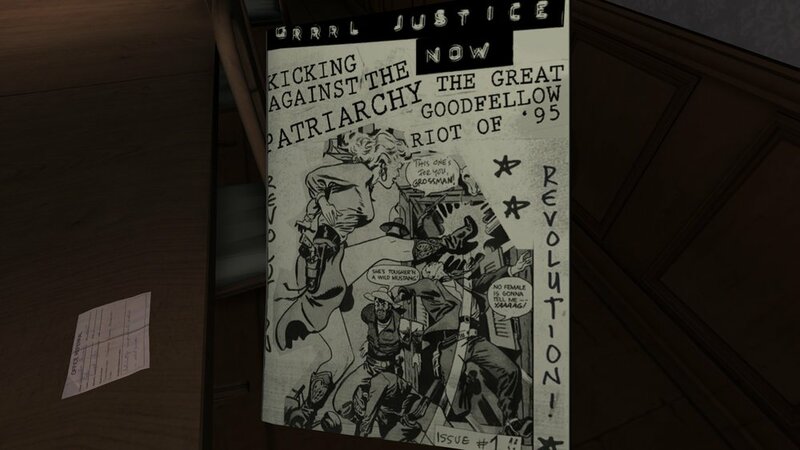 Gone Home takes something all of us have done, that general cursory look we have around a space we’re not really supposed to be in. We look at posters, books left out, what music they have on to try to piece together a better understanding of the person that inhabits that space. Gone Home does that with the main character’s own family but just like us she finds out that she really didn’t kn them that well. Piecing together the stories of your family (and your uncle whose secrets are buried deep in the depths of the house) makes a charming and sometimes tragic story come together. I played at least one of these games every single day for at least two years. That’s not an exaggeration. I just loved these games that much. It gave you the perfect taste of living that rock star dream making your setlist and your fictional band with a distinct look. The sheer amount of songs I bought over the years made this a mainstay at party for almost a decade. A special shout out has to be made for when me and a group of drunk college kids all belted out “Golden Slumbers” into the night. Rock Band made some of my favorite memories of playing a game. It’s still extremely weird to me that this game exists. A character action game focused on the difference between androids and robots and humans and how all of them seek to find their own version of living. It’s got top down shooter elements, you have to play it twice to get to the third act that almost feels like a sequel contained in the game. The fact that all of that fits together with one of the greatest modern soundtracks and one of the most emotional endings of a game propel this to something I just love to talk and think about. I played Undertale after the hype train had firmly started. I expected to be disappointed. To not understand what all the hype was about. What I got was the game I needed exactly at that moment. It’s characters attached to me, making me love all their little quips and their flaws. The combat system kept me engrossed always looking forward to the next battle. It’s story and message had me entranced until I was left at the end crying the hardest I ever had at any media as I watched two sprites hugging. Undertale isn’t a game that’s for everyone and I get that. But it was the game that was for me at the time I needed and that impact is something I’m going to carry with me for the rest of my life.